Apple and rumours can’t live without each other. 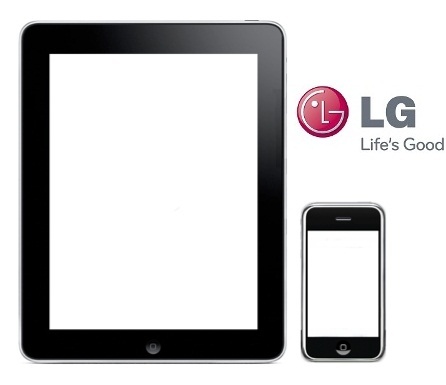 The latest one that is doing the rounds is that LG may soon be making 4″ screens for use in the iPhone 5 as well as 7.35″ screens for the iPad mini. According to a report in Korea Times, Apple and LG will be meeting soon to discuss plans for a 7.35″ iPad. This would be part of a $1.1 billion deal which would keep LG as a major supplier of iOS device components from 2012 to 2016. The insider also said that LG would produce 4″ screens for an iPhone 5 with the same 960-by-640 Retina Display pixel resolution. We all know that Apple was to launch the iPhone 5 with iPhone 4S but scrapped the plan at the very last moment. The smaller iPad may be a better step by Apple as we have seen the demand for smaller tablets go up and would also result in cheaper price tag, which again is good for the consumer. As for the iPhone 5, well a 4”display will be better as all other mobile phone manufacturers have already moved on to 4.3” displays. And with the 4”, the user experience is ought to increase.